Today I was in an epically bad mood at work today which resulted in indulging in my favorite past time....scouring Someecards for funny things. 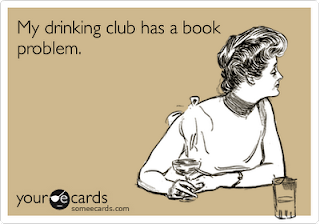 Thus, this post and my Wedding Wednesday post on my personal book blog are all about the Someecards. Some of my favorite bookish Someecards...for shits and giggles today. THIS IS TRUE. This is a very important skill when you are almost done with an epic book and NEEEED to finish it and waiting until work is over will not cut it! I have so many people I'd kill off in a book...not just past relationships! And this is when the book blogging community makes me feel sane.. Here's to hoping for a better day tomorrow...and if that doesn't help I'll probably hide under my desk and read a book. Love it. I hope tomorrow goes better for you! Hope tomorrow is better for you! I love someecards. It's kind of ridiculous how they are perfect for every occasion. I totally relate to these. I must go to their site and have a look. Is there a copyright issue with reposting the pictures? Talking while reading and fictional boyfriends are the truth, yo! 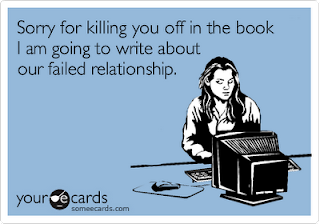 I love someecards. It always brightens my worst work days! Love these (and they are so TRUE!). What fun. My fiance, basically ALWAYS interrupts me during my reading, I don't understand, why he does this. 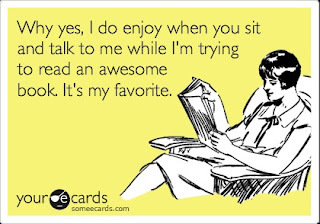 It's so annoying when people talk when you're reading. Just stop it?! These are amazing! I especially love the one about obsessions with fictional men. 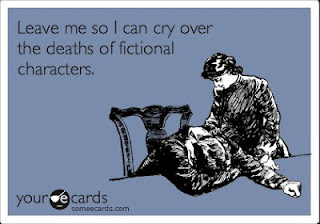 My bookish friends and I often lament that our love for 'real' men doesn't measure up to our long-standing attachments to fictional men. Maybe we just need to find similarly bookish males? Ah! Love! I want to steal all of these, print them out, and hang them everywhere! 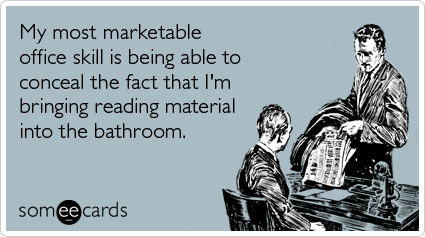 I love Someecards. These are the best and gave me a laugh, especially the book club one! My book club really does meet in a bar haha! Thanks for sharing, and I hope you are having a much better day today. Ugh, I hate when people sit next to me and start talking when I want to read a book. Biggest Pet Peeve Ever.